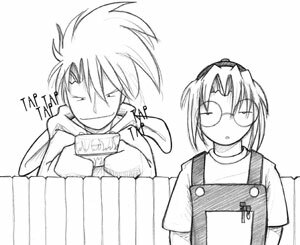 This morning i was working on a Naze Nani Megatokyo strip that seemed funny enough in its conception, but wasn't coming together as well as i would have liked. The fates seemed to agree because in the midst of struggling with it, Illustrator crashed and somehow the file i was working on was corrupted beyond repair. >_< I took that as a sign. 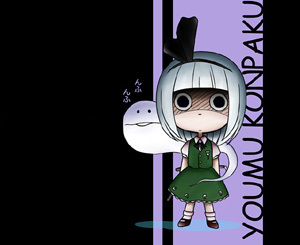 The biggest problem with this project was how much i had to put aside Megatokyo. For two weeks i have not been thinking about the rest of Chapter 7 at all. Sure, i know what's going on, what happens next, i have my notes and sketches and stuff, but i just haven't been 'there' in the story. Getting back 'there' isn't impossible, but it does take some time and effort that i never acknowledge is needed. I'm trying to regroup, to get myself back into the swing of things, and get my momentum back. I'm working on that now, and concentrating on Wednesday's strip... and letting Monday's strip go. I feel its better to have two decent comics this week than three rushed ones. I always seem to discount the time it takes for me to get my bearings after a big project. I end up in a big panic trying to do things i just can't manage, thinking i can cram 4 days worth of work into two, and then somehow magically produce a comic on the evening of the last day. Panic is bad for creativity, honestly. I stepped back this morning, took a deep breath, and regrouped myself. 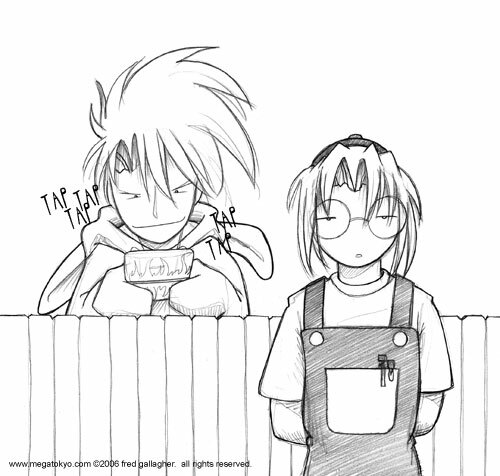 The book is done, i can focus on Megatokyo again. It just takes a little time to get it going.